According to ticket information, I should have been in Mostar by 6am. We actually arrieved at 11:30am. Bus driver went to Zenica, even tho there was no need for that, beacuse passingers moved to the other bus to Zenica few hours before that. Es ist nur ein Schoffer und er kann nicht alles rechtzeitig erledigen. Au'erdem die Firma mu' wissen daß in Österreich am 26.10. Nationalfeiertag (arbeitsfrei) ist und daß es sehr viele Reisende gibt. Es gibt keine Koordination und kein System wie die Platzkarten verkauft werden. Trotz Reservierung sind ca. 20 Reisende ohne Platz geblieben. Das ist schon mehrmals passiert. The person who collects luggages was rude and impatient to everyone. The bus from Kotor to Dubrovnik was a lovely journey along the coast, with best views from the drivers side of the bus. We had brief stops at the Montenegro Border Post and at the Croatian Border Post. 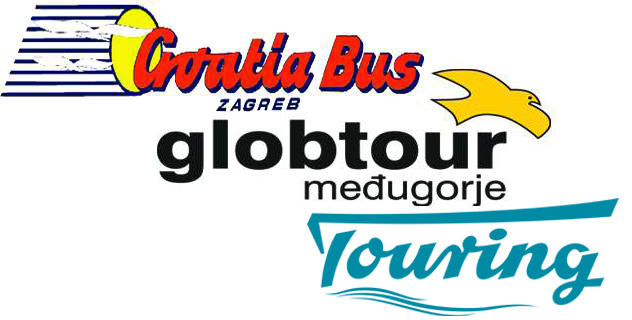 The bus arrives at the main bus terminal in town where you can get buses to all locations in and around Dubrovnik. There is an airport shuttle that leaves every hour or so for 45 kuna each. Because we had booked on line the man who ran the Dubrovnik Bus Station charged us another €2 .00 each for some reason we could not understand and we were also charged €1.00 per bag that went in the hold. The signs on the bus station contains all the destinations for each platform, which makes it confusing, and the drivers of the buses do not shout aloud or say anything about each bus destination, so you have to ask them. I even asked one of the drivers there which bus was going from Split to Dubrovnik and he just told me the platform, but was not helpful saying whether the bus was delayed, or providing accurate information about the bus company's, etc. Moreover, the bus left about 20 minutes late, and arrived to destination around 45 minutes late. I took a 12.35 h Split-Dubrovnik bus on October the 24th. Besides, one of the drivers spoke very little English, and when the bus made some rest or toilet stops the instructions were just given to us in Croatian. We specifically booked the route that stated we did not need to print the tickets, but the driver got very angry when we showed the electronic ticket and did not want to let us on board. He was very rude, but did eventually let us on the bus, after charging us five times the amount to put our bags on board, compared to what he was charging other passengers. Would not recommend at all!!! Vremenski uvjeti nas skinuli s ac. A na zo ne mozete utjecati. The drivers were smoking a LOT, making more stops (for themselves, not passengers) which resulted in the bus being over an HOUR LATE to Vienna. I was late for my other appointments because of that, even though I took being late in consideration. The seats were almost all broken, the bus drivers were rude and making comments about foreign languages constantly. I felt ashamed for my country. Would not recommend travelling with them again.